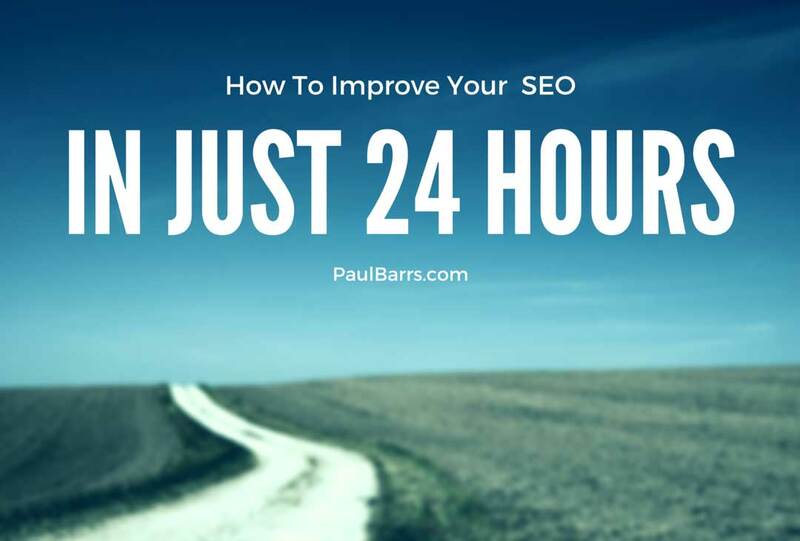 Now today, we’re looking at 24 hours to improving your SEO – Search Engine Optimization. Just 24 hours to help you get better results. Now I’ve got a list of 4 different things that I need you to write down and then go and do and yes if you do this and do them well, they will make a difference to your SEO assuming of course, they haven’t already been done. You ready? Grab your pen, grab your paper, let’s start with…. Number 1: Update your Meta titles and descriptions. Meta titles and Meta descriptions are those things that appear in Google search or of course in the other search engines, usually the blue line and the 2 lines underneath it. Now when it comes to compelling, a powerful Meta title and Meta description, this is the number 1 reason that if you are getting results, are going to give people a reason to click through to your website. 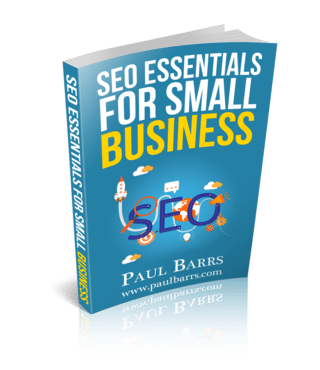 But more importantly than that yes, yet again from an SEO point of view, these are incredibly important. Now I could just give you a whole tutorial on how to write a good meta title and description but I’ve already done that. If you go to this website, metalength.com.au, you’ll find there some tools and a training video I’ve put together to help you get better results from good titles, good descriptions. Number 2: I want you to identify your main information or conversion pages and look at reviewing and updating that content. Then I want you to link to them from other pages and other posts on your website. Here’s the concept and this is all you need to take home. Imagine you got in a one page here and another page there; these 2 pages are enough to talk about your products, to talk about your service. You talk about what you do, who you do it for and where, and these pages talk about the 2 different areas of your business, maybe 2 target markets, 2 different types of a product, service something like that. You can have more than 2, am just using 2 for this example. I want you to go and update the content and have a look at it and make sure it really does cover the most frequently asked questions that your customers are likely to have. Then I’d like you to look at all the different other pages and maybe blog posts and other things within your website that link or could link to those 2 pages. So from all of these, I want you to start linking to those primary pages. And of course, your homepage over here, well it links to it of course. Obviously, we want people to read it. Don’t we? Well if you want to make a difference in your SEO then you need to update the content on these pages to make it highly relevant to whatever it is your user, your consumer is looking for and needs. I’ve always used the summary guideline of what is it that people want to know about what you do and then what else are they likely to know. Look at the content on your pages and review by that structure. Number 3: Review your homepage and make sure that it isn’t too general. Link from the content within that homepages I mentioned earlier to those main pages. So here’s the thing, look at the content on your home page and make sure it’s not too general but it is about what you do, who you do it for and if necessary where. 1,2,3 things. Seriously when people come to your business, to your website they’re wanting to find out 1 or 2 different things. Number one, if they’re in that part of the buying cycle that says “I still don’t know exactly what it is that I want“, they need to be able to find product or service information quickly. Yes, absolutely. But if they’re already in that process of “I know what I want but who should I buy it from“, then they need to be able to find that information quickly, obviously again. So, what you do, who you do it for and where that should be the summary on the main page linking to your main pages. Finally, number 4 makes a huge difference. After you’ve updated all of those on-page elements, I want you to verify your site with Google Search Console. I want you to submit an XML sitemap. I want you to get Google to then crawl your website, do a fetch and look for errors, to then fix. Now, maybe your webmaster did this for you, somebody else built your site but you should have access to this information as well. I mean if nothing else, imagine this… imagine that Google has a problem with your website. Maybe you can’t see it, can’t access if something’s gone wrong. Wouldn’t you like them to send you an e-mail to tell you, “Hi, we’ve got a problem with your website, here please go and fix it“. Wouldn’t that be cool? Guess what? They do and they’ll do it through Google’s Search Console, webmaster tools is what we used to call it. So this is something you absolutely must do, submit your XML sitemap, get them to crawl the website, do a fetch, look for errors and fix them. Look for page errors, look for reading errors, look for mobile errors, all of these different things and fix them. And yes, this can be done within a 24 hour period. Well, assuming that you don’t have a 600 website like I do but even then most of those are blog posts. The average website, you don’t have to optimize every single page, just your primary pages, just your home page and all of the content pages that link to those conversion pages. So that’s my goal for you, a little bit of hard work, go and get those things done before next week. I hope that I’ll see you again soon. Bye-Bye.